HARLEM — When it comes to rap, there can only be one original. Kurtis Blow is that man. The Bronx artist behind “The Breaks” claimed a number of firsts for hip-hop: when he was just 20 years old in 1979, he was the first rapper to be signed to a major label. He was the first rapper to do a national tour and he was the first rapper to land an endorsement deal. Paving the way for an entire genre to take over American pop culture is no small feat, but the man behind it all remains as grounded as ever at 53, as a practicing minister and producer. 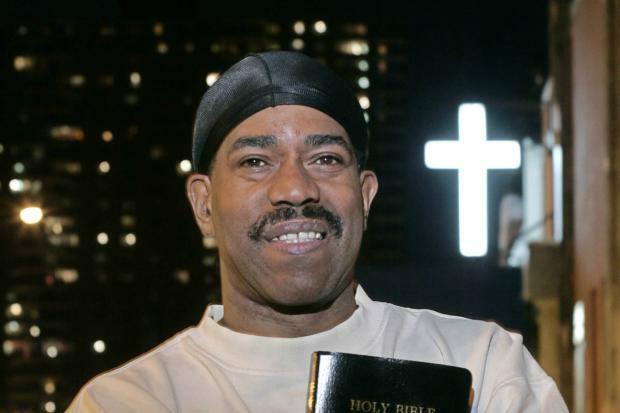 Though he splits his time between the two coasts, Kurtis Blow remains active in Harlem and the South Bronx. A few times a month, the legend leads Hush Hip Hop Sightseeing Tours around the city, showing off key spots that shaped the history of rap. Blow, whose birth name is Kurt Walker, took a few moments to tell DNAinfo New York about the neighborhoods he still holds dear and why he’s going incognito on the streets of Harlem. Q. How did you start doing Hush Hip Hop tours? A. Hush Tours actually approached me and asked to be a part of it. It was my honor and pleasure to be a part of it. Q. When you’re in the city, where do you stay? A. I usually stay up in Harlem, up at 151st and Riverside, a beautiful part of Harlem right by the water. It’s a nice area. Another place is at 140th and Amsterdam. That’s actually where I grew up. Q. Where are you going out to eat in the area? A. There’s Artie’s up on Broadway and 84th Street but there’s another one like Artie’s — the original place that’s been around since like the early 1900s. They serve the best pastrami you would ever want to taste and the brisket is incredible there. It’s on Houston Street… Katz’s! That’s it. That’s another one of my favorite places to go to, but they’re always so crowded. It’s a mad house. But you know, a great restaurant is always crowded. And then there’s Sylvia’s soul food restaurant. I’m a fixture up at Sylvia’s. They know me. I knew Sylvia, rest in peace, God bless her. Q. How often do you get stopped when you’re around the neighborhood? A. It’s pretty much a lot, but nowadays I’m really in disguise when I go out in public and I just want to go unnoticed so I wear my glasses and my hat down. People don’t recognize me. I’d say one out of every 15 people recognize me when I go out, and those are good stats for me. That means that I can go out and have a good time. I can go to a restaurant and I don’t have to sign autographs for everyone, and go to the movies. Life now is really, really enjoyable because I’m like a normal person and I can do those things. Back in the 80s, I couldn’t do it. I’d have to order delivery. Q. What do fans most often ask you? A. Believe it or not, more so than an autograph is a picture. Everyone wants to take a picture. That’s the number one thing I get now. Q. When you’re doing the tours around Harlem and the Bronx, what are some of your favorite spots to show off? A. That’s a good question because I’ve never really thought about it like that. I love a lot of it, but actually stopping in Harlem, places like the Apollo. Rucker Park is a good one because of my song “Basketball” and I tell that story of how Rucker Park started with Dr. J. He’s, like, my hero. He’s a legend up there in Harlem at Rucker Park. All the street ball videos that you see, all of that stuff started from Rucker Park, so I guess Rucker Park would be number one. Then of course Yankee Stadium is great. That one place that we stop at 1520 Sedgwick Ave., that’s where Kool Herc was. And then of course up in the Bronx by my street sign. They have this Bronx Walk of Fame where a lot of people from the Bronx who have contributed to entertainment or music or politics have street signs up, from Colin Powell to Regis Philbin, myself, Grandmaster Flash, and Afrika Bambaataa, people like that — all kinds of people have their names on street signs. I like to go there to my street sign and we take pictures and it surprises the crowd. Q. Which places that were key to your youth are the best preserved today? A. There are a couple of them still around in Harlem. Riverside Church over near 122nd and Riverside. They’re really maintaining Riverside — that whole strip, going up from Riverside Church all the way up to the 150s is really a good area to raise a family. They have a lot of different parks and recreation where kids can go, all kinds of things. Q. What do you think about how Harlem and the Bronx have changed over recent years? A. Well, the one thing I do like about Harlem is that it’s getting cleaner and they’re building it up. I see a lot of Starbucks and banks are opening up. There’s a French restaurant over on 126th Street and Malcolm X Boulevard. I went in there. It was a really good French meal and it was incredible. It’s just things like that, how it’s building up. You get to see more of a melting pot. This is what New York is known for. Harlem is growing and evolving into the traditional melting pot of society that New Yorkers know it for and I think it’s great. Q. What about complaints about gentrification? A. Well, that’s the downside of it. A lot of old people, African-Americans, are being kicked out of their homes because they can’t pay the rent increases, and that’s the downside of it. I’m sorry to see a lot of old-schoolers go have to move out of New York, you know. But I want to look at the positive side of it.